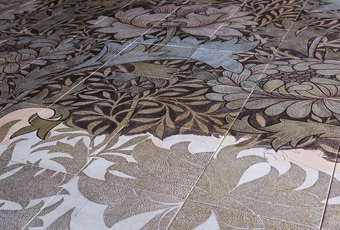 Time Present and Time Past at the William Morris Gallery, was Clare Twomey’s response to William Morris. The work was a live process that took place over 70 days. 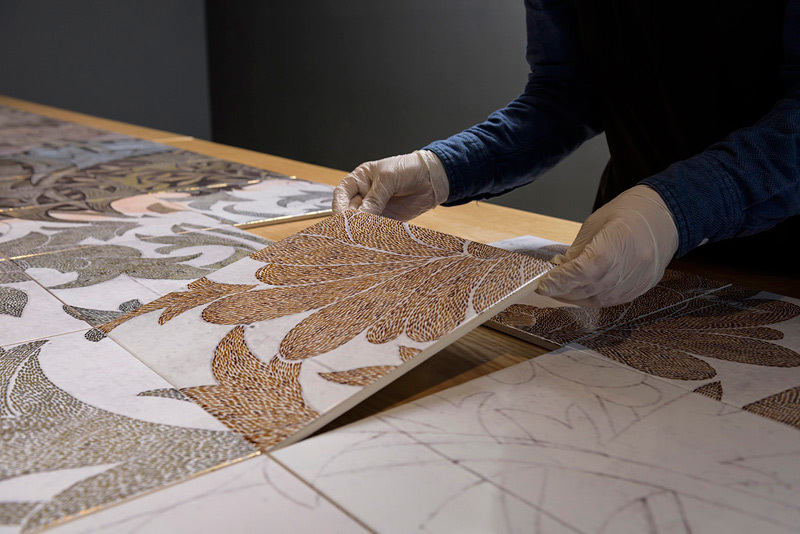 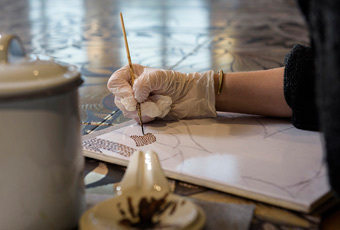 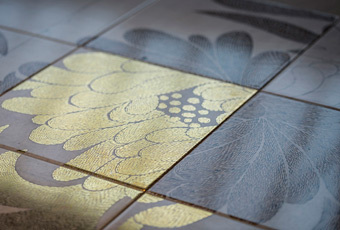 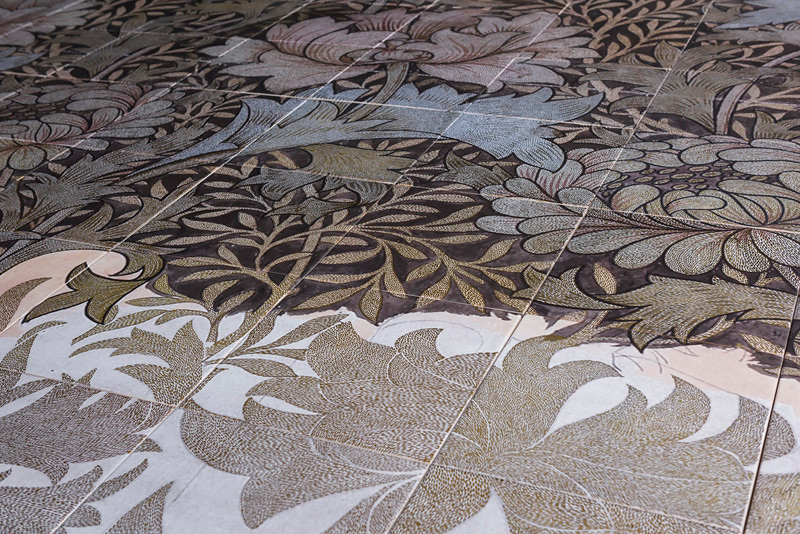 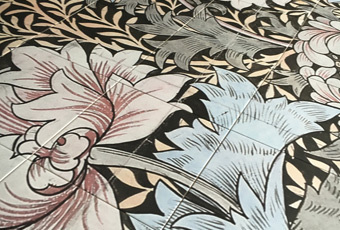 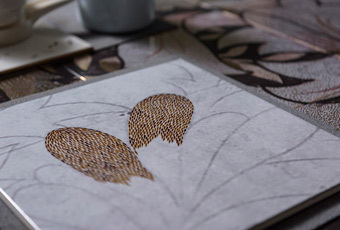 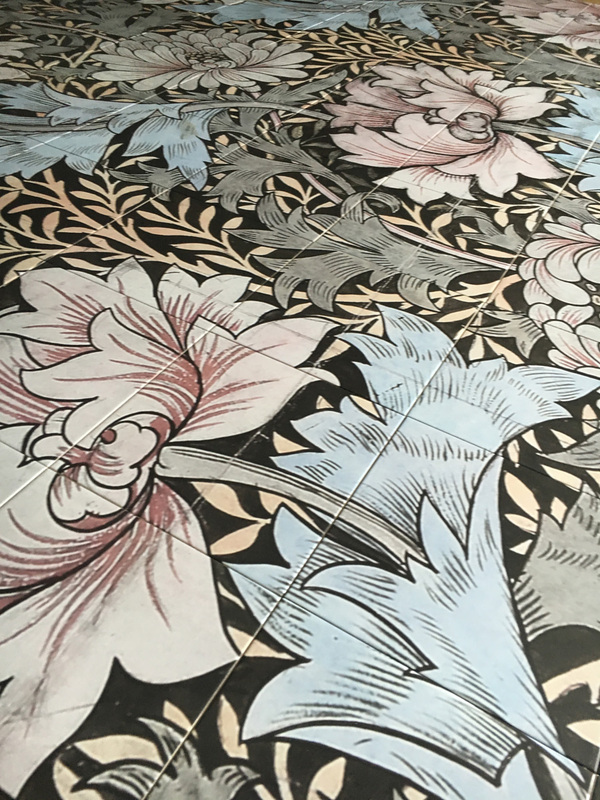 By transforming the gallery into a live studio, where members of the public worked as apprentices alongside a master gold painter on a William Morris designed tile panel, Twomey’s installation explored how practising a skill can connect us through time and space to other people. 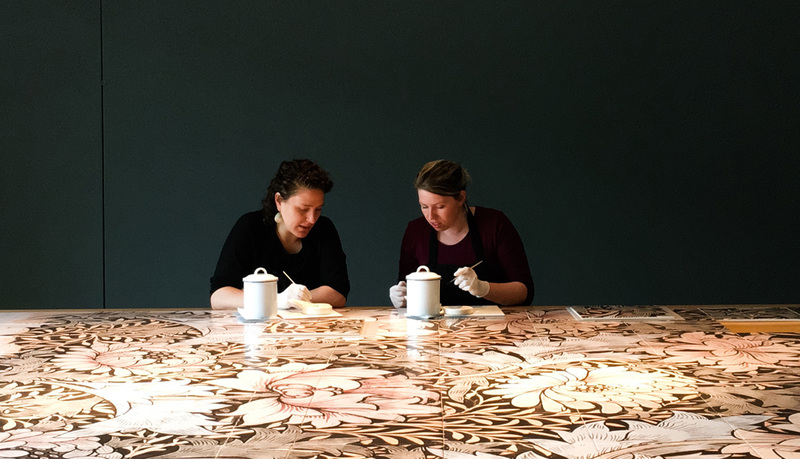 As Morris observed, ‘The past is not dead, but living in us.” This work explores the role of the human in the transference of skills that are passed on and shared, from one person to another.